Fishing is fishing, some days are better than others. Yes, there are days when the fish don’t bite. Not every day is a Saturday morning fishing show in the real world. 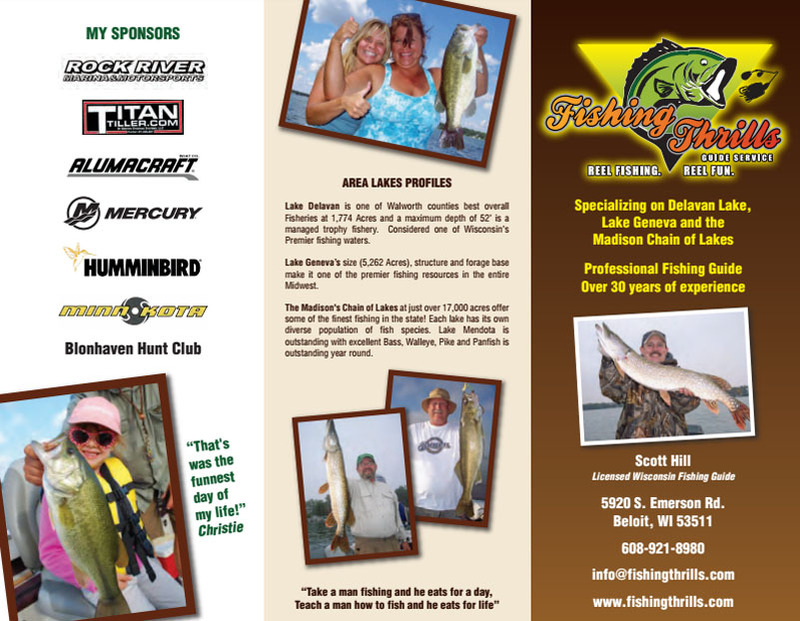 I can guarantee that whether we catch fish or not, the experience on the water will be fun and educational. A great day on the water doesn’t necessary have to be one where several fish are caught, but it should be looked at as a bonus to the knowledge learned that day. (1999) 98th place professional walleye trail (amateur) Saginaw Bay. (2002) 39th place professional walleye trail (amateur) Lake Winnebago. 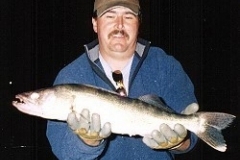 (2003) 19th place professional walleye trail (amateur), Bays De Noc. (2004) 29th Places gander mountain walleye cup,(team) Petenwell Lake. (2004) 18th Place gander mountain walleye Cup,(team) Lake Dubay. 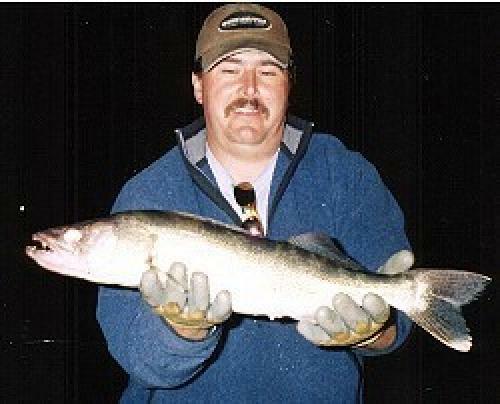 (2005) Fished in all four wisconsin regional walleye cup tournaments 4 top 20 placements. (2005) 2nd Place grand national walleye cup state championship,(team) Green Lake Wis.
One of the most fulfilling activities for many people is spring crappie fishing. The local waters and temperatures start to rise, the ever-so-active crappie nears spawning time. As spring draws near crappie move toward their spawning areas. If you are a fisherman who enjoys crappie fishing and has chased them before, you know that springtime offers up the hottest crappie fishing of the year. Most anglers enjoy spring crappie because they tend to migrate to shallower water and this alone cuts down on your search time. Instead of holding on hidden cover, crappie will tend to move to shallow treetops and stump fields, riprap banks and docks, many of which are visible, often in the backs of creeks or coves and usually fairly close to a lake’s banks. 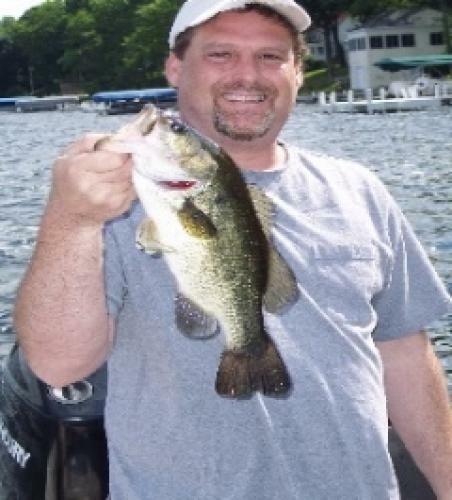 Besides the fact that they are shallow, spring crappie tend to stack up, so where you hook into one big fish, the chances are extremely good that you are going to catch a bunch of them. Overall, finding crappie and catching a big bag of slabs are at their best this time of year. One thing you need to remember. You must present what the crappie wants to eat. Don’t be fooled into thinking that catching springtime crappie is like pulling fish from a bucket. The shallower flats and shoreline areas of most lakes still constitute a lot of water. Even if you find the right bank to work, it is necessary to observe the surrounding environment and make the most educated pattern presentation possible. Crappie are still a bit lethargic this time of year, so your bait must be presented at the proper depth and as close to the fish as possible, since they are not in the mood to go chasing anything around as of yet. The spring migration to the spawning areas is gradual and the crappie will tend to migrate gradually into the shallows and back out over the course of a few months. 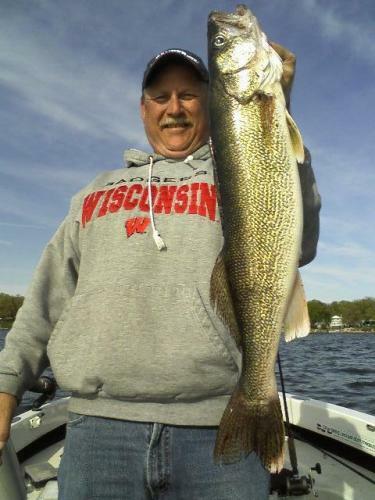 The exact timing of their moves varies from lake to lake and even from year to year within the same lake, depending on winter and spring weather conditions. In other words, if we have an early spring with nice warm days in March, you can expect to catch crappie in the conditions described above. Crappie will begin moving from their deep main lake winter holding areas sometime very early in the spring. They use structures like channel ledges, humps and long points as staging areas, keying on any brush or stumps. 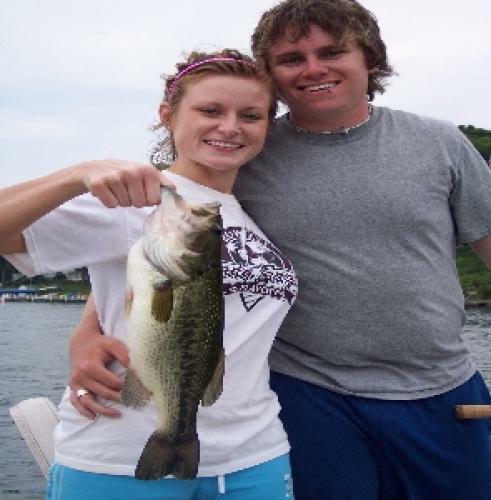 Bass tend to have the same behavior during the pre-spawn period when they are starting to line up around cover that is usually adjacent to their spawning areas. They gradually move shallower and shallower and typically work toward the backs of creeks, coves and narrow lake arms. Throughout this migration pattern, both to and from their spawning grounds, crappie will move extra shallow with a string of sunny days and move deeper with each late season cold front. Regardless of water depth they almost always find rocks, brush or some kind of cover to hold around. That cover provides protection, and it attracts the minnows which a crappie likes to eat. Usually you need to have a few nice warm days strung together for the shallow water action to fully take place, but the air temperature does not have to actually warm up as much as you might think. As long as the sun shines brightly it will warm shallow areas, especially those that are surrounded by riprap or natural rocks. Water that is slightly stained and filled with wood and rocks to soak up the suns rays will heat up much quicker. When those first warm days occur, the crappie will still be holding on fairly deep structure and they will not move far just to feed. At this point, if the water temperature continues to increase, they will start chasing down their food within a few more weeks. Typically, shallow hotspots that lie quite close to deep water will draw fish. Bridges or structures that run across major channels and the shallow ends of long points provide easy travel routes for the crappie from the depths to good shallow cover. Because areas that offer the necessary range of depth, along with good cover, and the required quality for the water to warm slightly are obviously limited in numbers, those spots can be golden in early spring. At this time crappie tend to feed more on minnows than on jigs and they won’t chase anything. Most of the best spots during this part of the season are limited in number and size, so the majority of the searching will be through different depths. A basic cork rig, with a float, split shot, No. 4 or 6 hook and live minnow, is tough to beat. Just flip the bait out and let it settle, and then experiment with different depths until you start getting bites. If you purchase a second rod stamp, you might want to try two poles at the same time at various depths. This method will tend to cut your search time down a bit. As spring progresses and temperatures continue to warm, crappie will move to the tops of ledges and begin pushing into the creeks. They move shallow to feed more frequently, and the shallow areas they use on the warm spring days become much more widespread. Finding at least a few fish becomes somewhat less of a challenge, but they often aren’t quite as concentrated as those first wonderful days of spring. The best cover is still fairly close to deep water. Flats that are dissected by major channels and banks near the mouths of creeks will always hold a lot of crappie, especially on warm days when the fish have just begun their migration toward the spawning grounds. Warmer weather and sunrise are still the keys to finding crappie in the shallows, but such days are quickly becoming the norm instead of the exception. Small floats still come into play for finding crappie at this time of the year, but some of the best angling approaches are a little more active. The fish can be spread out, calling for searching type tactics. By now the water will have warmed enough so that the fish will chase a minnow or jig, as long as it is not moving too quickly. When I speak of a jig, I am talking about small 1 1/2″ to 2″ plastic tube or small plastic curly tail on a jighead that is weighted. A float offers two major advantages at this time of year, whether you are fishing with jigs or minnows. It allows you to control and track depths, making it easy to identify the productive zone and keep baits in it, and allows you to move the lure or bait slowly, even stopping it along the way, which can be essential for getting crappie to strike early in the year. When the crappie are spread across shallow flats and could be holding on any of hundreds of stumps or brushpiles, provided you have a water vessel of some type, trolling comes into play. By using a electric trolling motor to slowly pull those same jigs along at the right depth can produce well along with fan casting above emerging weeds. For shallow flats, corks remain part of the equation, and setting different lines at different depths will again help identify patterns much more quickly. Keep a marker buoy handy any time you troll and toss it out any time you get more than one strike in a small area. If you find a real hotspot don’t anchor right over it especially if the water is shallow. Try to anchor a good cast away from the area so the fish won’t feel invaded or spooked. Eventually the crappie will spawn and then they will start to move back toward deeper water. The journey out is gradual and some of the early season’s patterns and hotspots will turn on once again as spring gives way to summer. Fish are much more aggressive throughout late spring as their body temperatures have risen. 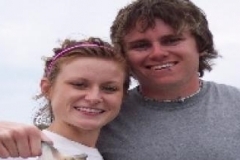 They are much more willing to take a bait as it is moving, and they will typically grab a jig as readily as a minnow or small baitfish imitation. Throughout the crappie run a few things will help you catch more fish. First, the best spring spots are much more distinguishable on a map than on the water. If you can find a good topographical map, spend time studying it before your first trip and identify some potentially good areas to hit as spring progresses. Next, pay attention to the water color, as crappie will hold much shallower when the water is stained than when the water is clear. Also as I have mentioned in previous articles, stained water warms faster than clear water. Finally, crappies of the same size tend to hang out together. 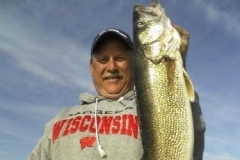 If the fish that keep taking your baits are smaller than the legal limit size, move on. If you catch a nice large crappie, pay close attention to the conditions and work this pattern over and over again. This should produce great results. Springtime, with its constantly changing temperatures, brings the best opportunity for most fishermen to catch a limit of slab crappie. Using these patterns will hopefully help you catch your limit. 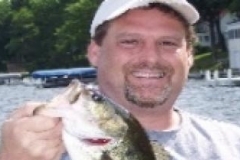 One important item to remember is that a crappie’s mouth is paper thin and a hard hookset could severely damage the fish, and disturb their eating habits, if you are practicing catch and release. Have fun guys and gals and I truly hope you catch a bunch of crappies this season! Winds from the north…don’t set forth! Winds from the south…blow bait into fish’s mouth! Winds from the east…fish bite the least! Winds from the west…fish bite the best!